When you go too long without eating you get hangry. You get moody, lack focus, and make poor decisions. Your blood sugar waxes and wanes making it hard to -have a stable mood or thought. Which means that the drive-through looks mighty tempting. The best way to keep your brain fueled, stomach happy, is to keep some on-the-go snacks with you at all times. These four snack ideas are gluten-free and filled with protein. Protein is an essential part of developing healthy brain chemistry. Grab them and go on with your day! A collection of individual-sized portions of some of the best gluten-free products on the market — from chips and dips, to meats and cheeses, to fruity desserts, cookies, and candies — and nothing needs to be heated or refrigerated. The boxes can just wait on your pantry shelf until you need them. When you’re ready to eat, just take the food out of the box. GoPicnic even supplies napkins and utensils. What’s more, 5% of their profits from sales of gluten-free products are donated to the University of Maryland for Celiac Disease research. 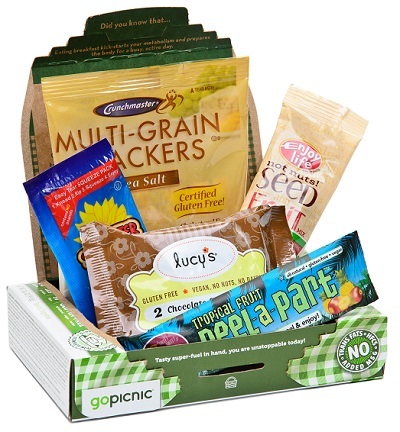 Gluten Free to Go was founded as a way to live simply and safely with food allergies and still have a normal life. 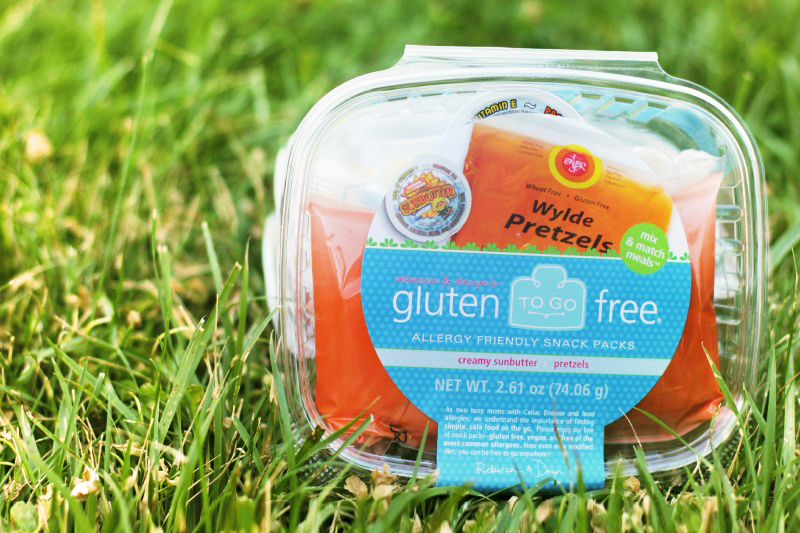 Whether you are a busy mom or a business professional on the go, enjoy our allergy friendly snack packs, gluten-free and available free of the top 8 allergens (wheat, milk, eggs, peanuts, tree nuts, shellfish, fish, and soy). As two busy moms with Celiac Disease and food allergies, we understand the importance of finding a simple, safe solution to eating on the go. New Kind Bars, Strong & Kind are made from 100% whole ingredients: almonds, pumpkin & hemp seeds, pea crisps and spices, delivering 10 grams of protein per bar. Flavors are savory not sweet, including Honey Mustard and Thai Sweet Chili. 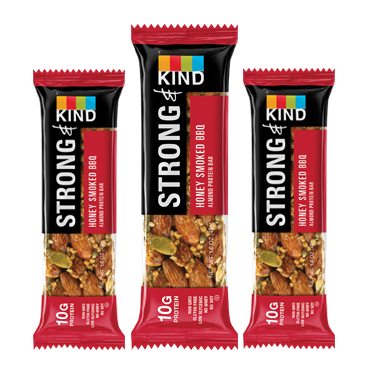 KIND Bars are made with tasty ingredients you can see & pronounce, like nuts, fruits, honey and spices. 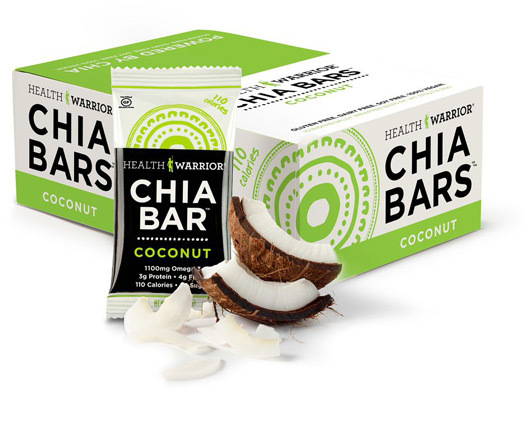 A recent study conducted by the Yale-Griffin Prevention Research Center found that two KIND bars a day can curb appetite and even help prevent weight gain.